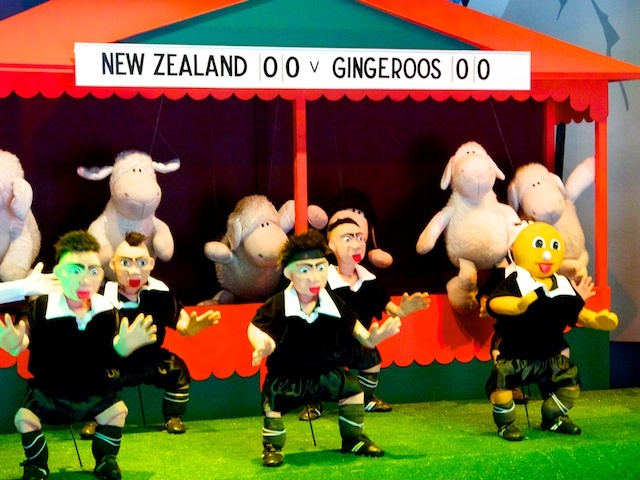 We didn't go on the adventure ride, but anywhere that New Zealanders are depicted as sheep, and the All Blacks can't score against the local side (even if the match hasn't started), can't be a bad place! When I wonder, will the political police start correcting this? Given New Zealand's celebrations at the moment having just legalised Gay Marriage, am I allowed to say the bloke on the right looks a bit ... gingery?